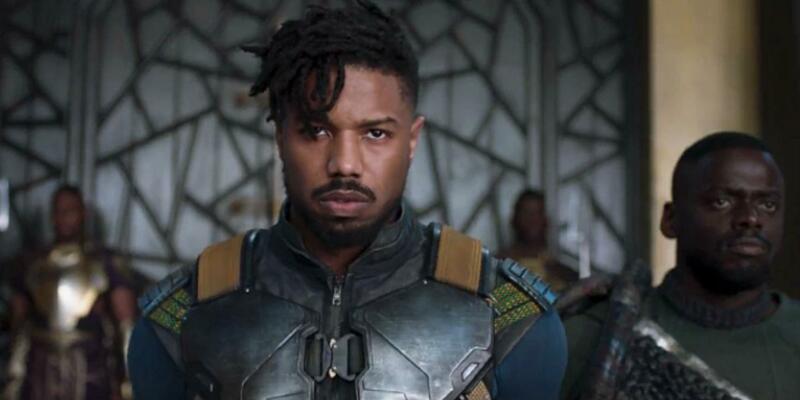 Killmonger, Noteps, and more are tackled in this op-ed piece. Editor’s note: In our continuing goal of providing multiple viewpoints on the Black Panther movie we present the following op-ed piece by guest contributor LindoYes. There is an ongoing debate about whether Killmonger is the villain or being vilified. This conversation is happening amongst black people who consider themselves to be for black liberation. Black liberation is a popular sentiment that black people need to be fiercely independent while gaining more resources in American society to overcome years of oppression and trauma. Within the black liberation movement, there is a small group of people that exhibit toxic behaviors in their pursuit of black liberation. Much of their rhetoric is to esteem their position by invoking fear and constant trauma to the people they state they want to uplift. They are often mockingly called “Noteps” for being divisive in their limited ideas of black identity and employing tactics that oppress other black people that do not support their ideas. Noteps seek black liberation by preserving toxic masculinity and being fear mongers. They hold no importance in recognizing and celebrating black joy or success outside of what they agree is mutually beneficial for themselves, and a good majority of them have trite ideas of black identity. They will condemn anything they consider to not fit their ideas of blackness, which often includes queer blacks, black feminists, afrofuturists, blerds, and a list of other black groups they believe do not support a strong image of the “black man”. The themes of the Black Panther movie have prompted many Noteps to attack it in order to create a fear of the movie and criticize it’s portrayal of the antagonist Erik Killmonger. Most Noteps identify with Killmonger, which is understandable, because most black people can too. His story and grievances resonate heavily with the Black identity. Out of all the Marvel villains, Erik Killmonger is fully developed and given real motives, compared to other villains that just want to be greedy and obtain power. Killmonger wants to liberate black people with the resources of Wakanda. However, as Jamilah Jones stated, “Killmonger…offers… “freedom” that still preserves toxic masculinity,” which is why Noteps are advocating for him. 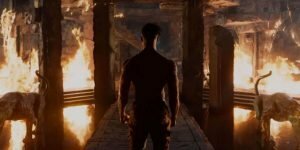 Let’s unpack Erik Killmonger and why Noteps love him so much. Photo credit Marvel Entertainment/ Marvel Studios. Post-traumatic stress disorder is a condition of persistent mental and emotional stress occurring as a result of injury or severe psychological shock. Everyone has experienced some type of trauma in their life, and because of that we seek ways to recover. However, there are some individuals that live out years or the rest of their lives mentally trapped in a traumatic moment, and when familiar events arise they become triggered, causing them to act out in order to avoid what they perceive as harm. People that experience PTSD can relive these experiences in dreams and flashbacks, often caused by events that remind them of the traumatic event(s) of their past. I believe Killmonger has PTSD. He has experienced the trauma of being abandoned by Wakanda and of finding his father lifeless in their apartment after he was killed by T’Chaka, the former king of Wakanda, the former Black Panther, and Killmonger’s Uncle. He also grows up in a world where people like him are oppressed, while the nation of Wakanda deals with none of these oppressions despite having the resources to help people survive and retaliate. Killmonger is traumatized by the loss of his father, Wakanda abandoning him, and from lacking the resources that come with living in Wakanda and the oppressive state he and other black people experience in America. All of these experiences create triggers for him that he learns how to cope with by using violence, always being seen as the aggressor, and not allowing himself to show emotions outside of anger. In fact, the moment he does cry about the loss of his father, he wants to destroy the heart-shaped herbs that allowed him to grieve. In that moment he chose not to let himself feel. He has chosen to be emotionless and violent. His grievances are one that many black people have experienced, but he has learned to cope through violence and apathy. He has rationalized being violent to hurt not only his oppressors, but his community as well. I have heard over and over again that Killmonger is not a villain, but has been vilified. I think this is true only if you do not look at him hurting women, killing a religious leader Zuri (a Wakandan shaman), his rationalization of violence toward his community, and destroying the heart-shaped herbs that allow Wakandans to connect to their ancestry. Let’s really do a deep dive! Killmonger kills his girlfriend without hesitation or remorse. He kills a white man to put himself in an esteemed position with Wakandans that have been hurt by Klaue (the white man), by sacrificing his girlfriend who has been supportive to him. Watching this scene is so chilling when you hear her say, “I’m sorry,” followed by him saying, “it’s going to be okay,” followed by him killing her so he could kill Klaue. He states it is okay, because in his mind, him murdering her is for the greater good. This reads too true of the sacrifice of the Black women so that Black men can be celebrated. Once he is able to get an audience with T’Challa, we witness his PTSD when he recognizes Black Panther as the son of a murderer and it triggers his anger. This is all understandable, as Black Panther knowingly doesn’t acknowledge him as a Wakandan and dismisses the hurt that T’Challa’s father inflicted. 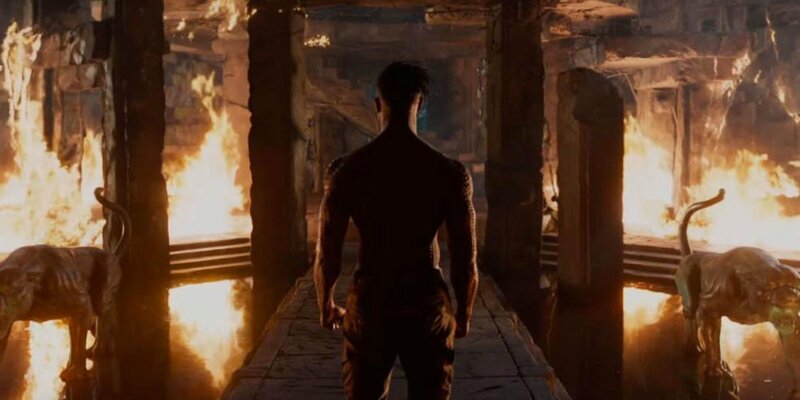 In this moment T’Challa shows willingness to hurt Killmonger more and trigger his PTSD. He walks in handcuffed instead of embraced. Killmonger wanted closure and acceptance, which could have started his healing. Instead, he receives a cold welcome from Wakandans. This shows flaws in Black Panther’s judgment even when he sympathizes with Killmonger. All of this leads to Killmonger challenging him for the crown. As they fight for the crown, Zuri, a Wakandan shaman, admits that he is truly at fault for the death of Killmonger’s father; N’Jobu. In that moment, he kills Zuri instinctually, and then Black Panther. Zuri showed no immediate threat to him or others and was holding himself accountable, even though T’Challa’s father was more at fault. Zuri’s death shows Killmonger’s need to resolve everything with violence and how his PTSD affects him. Shortly after he wins the crown, Erik Killmonger goes through the ceremony of becoming both King and Black Panther. He meets his father and relives the day of his passing. It invokes tears which he admits are the first time he cried about losing his father. He never did before because he was so used to death; a sad realization that we as the audience experience, and it speaks to a part of the black experience that is all too familiar. When he is awoken, he immediately wants to destroy the heart-shaped herbs that allowed him that moment to cry and be with his father. Even when the elder woman shaman states how much that would break tradition, hurt the connection with ancestors, and destroy years of gardening. He picks her up by her throat and instructs her to basically do as she is told. Killmonger uses violence to will his way, because he doesn’t want to deal with the fact that he is hurt. His willingness to hurt women to get his way is alarming throughout the movie. Click the page link below to visit page 2 of the article.